When a successful British ghostwriter, The Ghost, agrees to complete the memoirs of former British Prime Minister Adam Lang, his agent assures him it's the opportunity of a lifetime. But the project seems doomed from the start—not least because his predecessor on the project, Lang's long-term aide, died in an unfortunate accident. 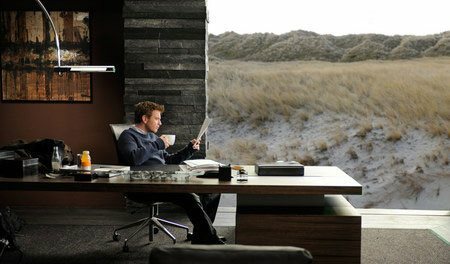 The Ghost flies out to work on the project, in the middle of winter, to an oceanfront house on an island off the U.S. Eastern seaboard. But the day after he arrives, a former British cabinet minister accuses Lang of authorizing the illegal seizure of suspected terrorists and handing them over for torture by the CIA—a war crime. The controversy brings reporters and protesters swarming to the island mansion where Lang is staying with his wife, Ruth, and his personal assistant (and mistress), Amelia. As The Ghost works, he begins to uncover clues suggesting his predecessor may have stumbled on a dark secret linking Lang to the CIA—and that somehow this information is hidden in the manuscript he left behind. Was Lang in the service of the American intelligence agency while he was prime minister? And was The Ghost's predecessor murdered because of the appalling truth he uncovered? Resonating with topical themes, this atmospheric and suspenseful political thriller is a story of deceit and betrayal on every level— sexual, political and literary. In a world in which nothing, and no one, is as it seems, The Ghost quickly discovers that the past can be deadly—and that history is decided by whoever stays alive to write it. 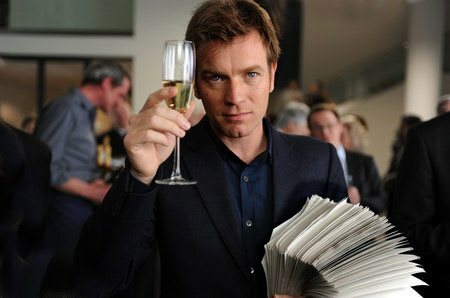 Download The Ghost Writer in Digital HD from the iTunes store. 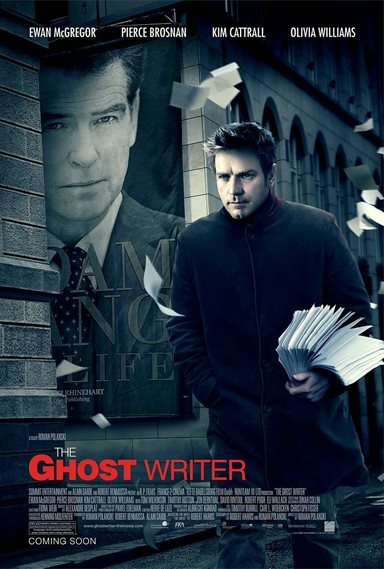 The Ghost Writer images are © Summit Entertainment. All Rights Reserved. 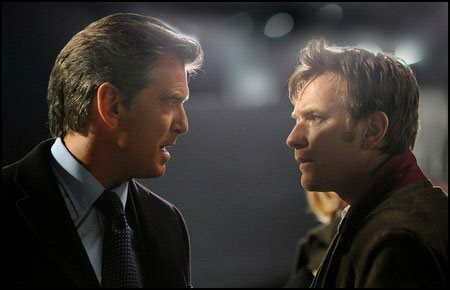 The Ghost Writer images © Summit Entertainment. All Rights Reserved.